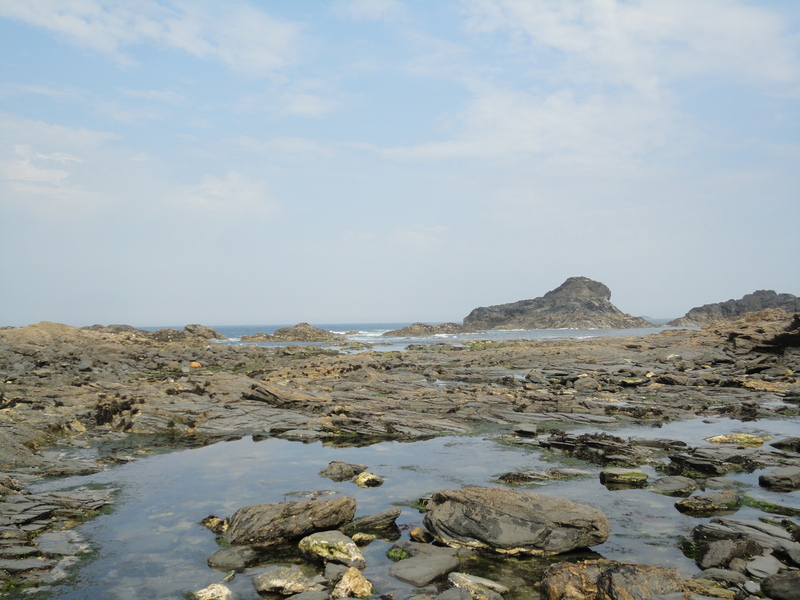 This rocky inlet is very different from the wide sandy beaches that are common on the north Cornish coast. 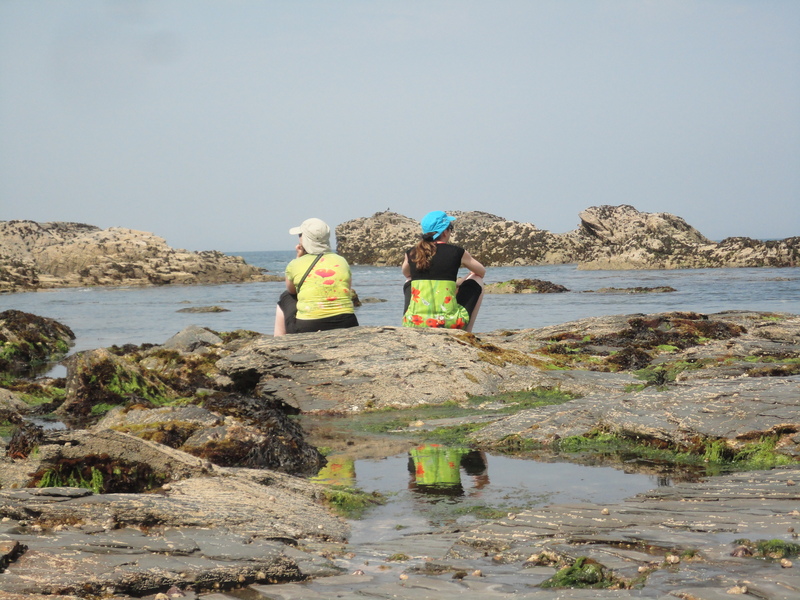 Porth Mear is only accessible by foot and offers wonderful rock pools, some of them very deep. 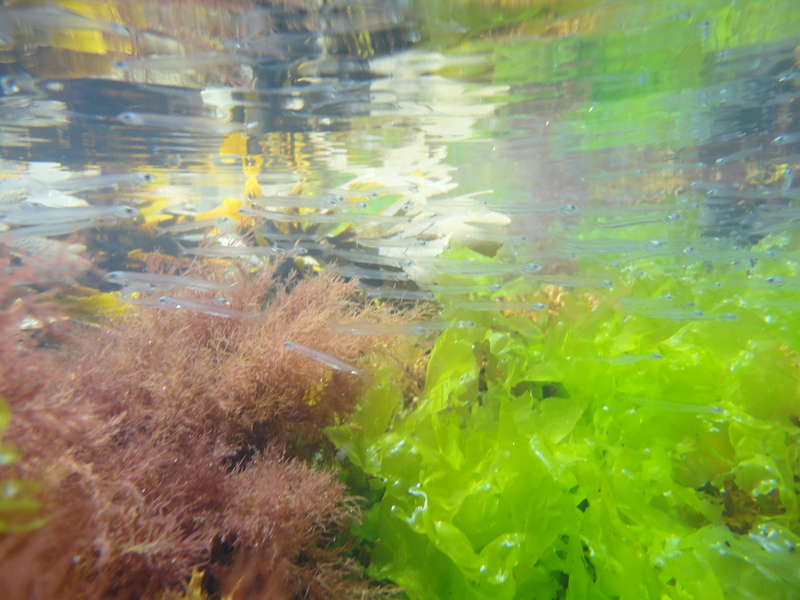 Explore a treasure trove of bright coloured sea weeds and interesting creatures. Porth Mear can only be reached by foot. The nearest parking is at the small National Trust car park signposted Park Head, off the B3276. 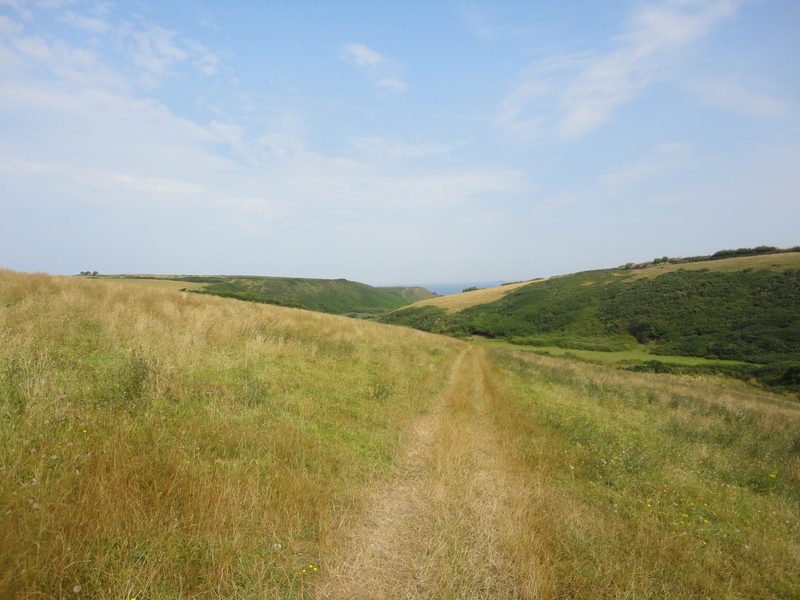 From the car park, follow the lane towards Pentire Farm until you reach a gate on your right, from which a footpath leads down the valley through fields and alongside reed beds. Alternatively, Porth Mear can be reached via the coast path and is situated to the east of Park Head, near Bedruthan Steps and about 1km to the west of Porthcothan. Porth Mear is the bay at the end of the long stream shown on the map below. The path to Porth Mear from Pentire Farm, Park Head. None. The nearest facilities are at Carnewas (Bedruthan Steps) and at Porthcothan. Please help look after this unspoilt bay by leaving nothing behind and taking nothing but photos. There are always lots of fish in the pools at Porth Mear. Some live there and some just get trapped as the tide falls. 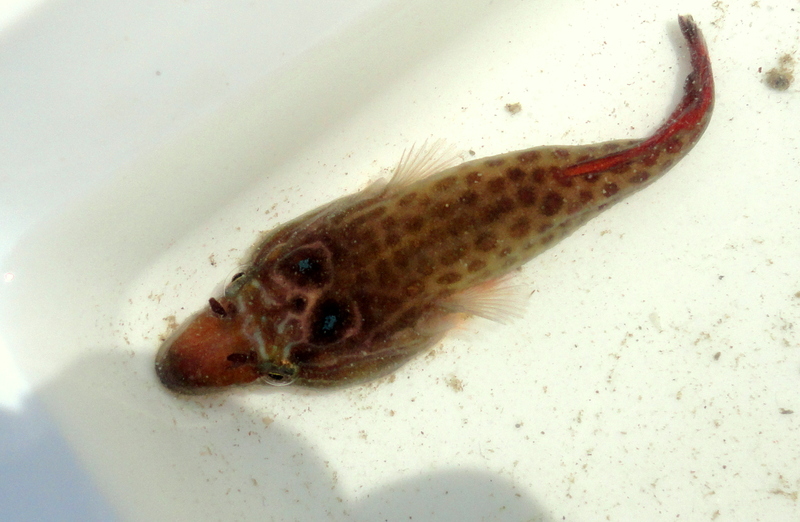 Look out for Cornish clingfish that attach to the rocks using a sucker on their belly – they’re easily recognised by their duck-bill shaped face and the two blue spots on top of their heads. Large rock gobies and corkwing wrasse can be found in the deeper pools. 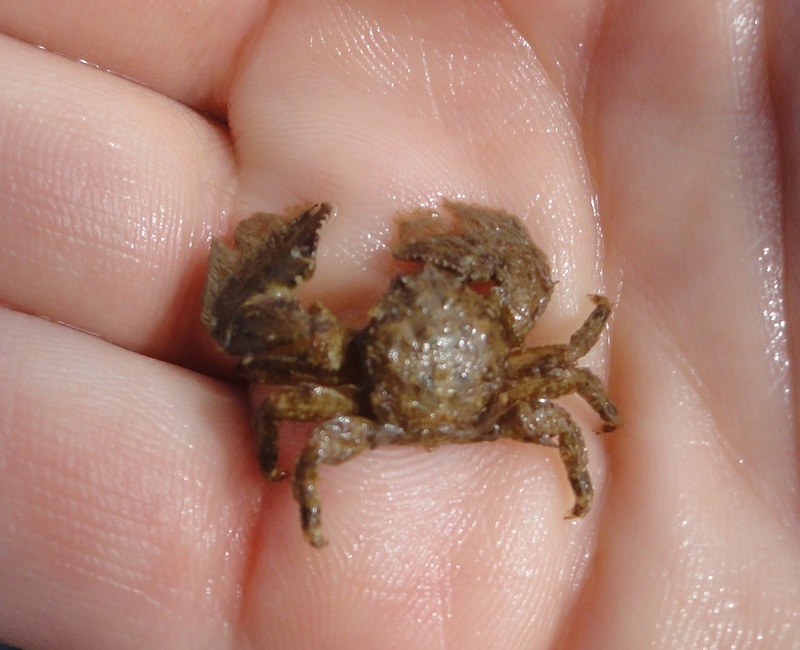 There are many species of crab, including the tiny porcelain crabs. 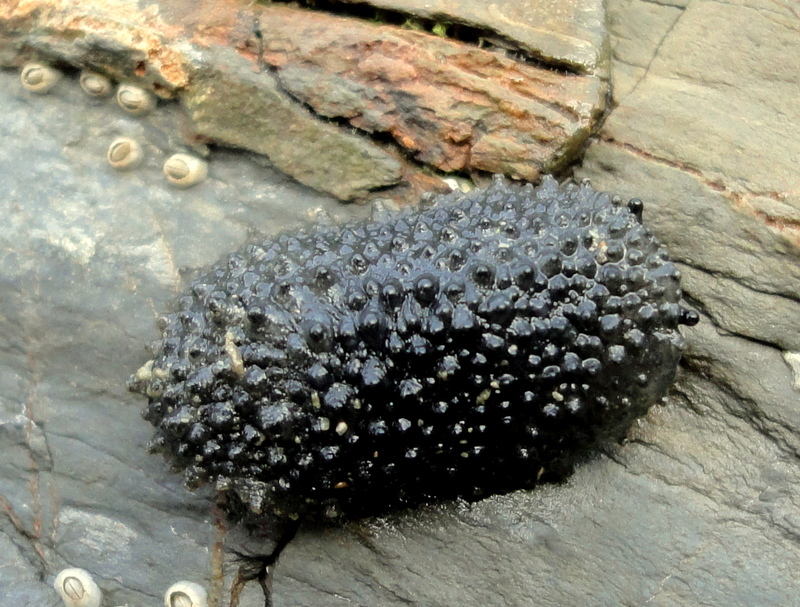 Look on overhangs for cushion stars and the celtic sea slug. 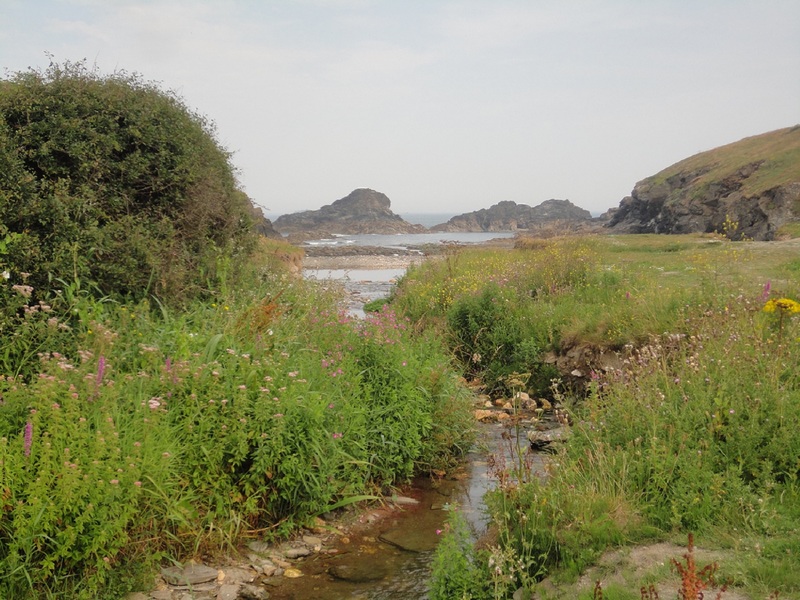 I love Porth Mear and its beautiful valley which resonates to the sounds of Chiffchaffs and Whitethroats in Spring, I have some fantastic memories from visiting there. More often than not, my family and I will visit there in the Autumn now but even then it is a magical place. I agree, Tony. The walk there and back is as magical as the beach itself. Usually plenty of butterflies and damselflies in Summer too. I used to walk from home past Bedruthan and over Park Head too… can’t beat it. Maybe see you down there one day.